At bantam, the Wolves were a mid tier team for the regular season. They finished with a 500 record and were nearly even in terms of goal for and against. Following a tough opening round series against Cambridge which saw the Hawks hold a 2-1 series lead, the Wolves reverted back to their winning ways of a year prior at minor bantam. The Wolves went on to knock of top seed Brantford in four games followed by a come from behind series win over London. Their year was capped off with a five game series win over Windsor to claim another Alliance title. With the goal of yet another Alliance championship and an OHL Cup berth in their minds, the Wolves remained relatively intact from a year ago. The forwards will be led by their captain Cooper Way, whose size and tenacity will make him a handful to play against. Owen Parsons is a player who showed well at the OHF’s last year and has shown great leadership qualities early in the year. Forwards Jacob Thompson and Jaxson Murray, who are on the smaller side, bring lots of skill and deceptive scoring ability. The defense bring forward some bright spots. David Gruber is a solid defenseman who is safe in his own end and has shown some offensive ability. Brayden Hislop will be the man on the blue line who provides the most offense in my mind. In goal, the duo of Marshall Nicholls and Nathaniel Miloje bring stability to the position and should keep the team in a position to win on most nights. Waterloo should definitely be an improved team this season. They have a plethora of players who have a goal scoring knack, something that was missing at times last season. Mix in the offense with sound defense and goaltending and Waterloo should be a team competing for home ice in the opening round of the playdowns and also a team many may want to avoid at that point in the season. 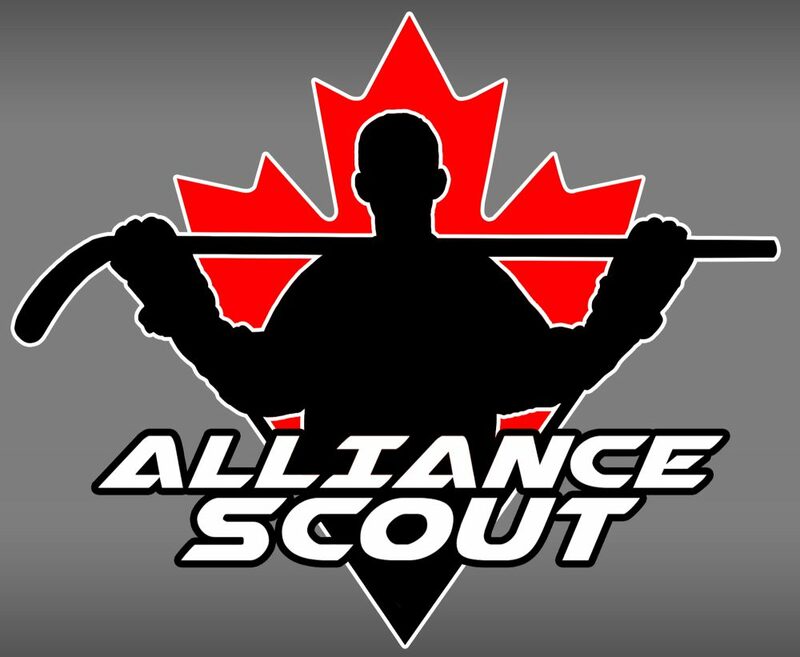 This entry was posted in Alliance Hockey, Alliance Scout, Waterloo Wolves and tagged brayden hislop, cooper way, david gruber, jacob thompson, jaxson murray, marshall nicholls, matt onuska, nathaniel miloje, owen parsons, waterloo wolves by Dave Coulson. Bookmark the permalink.